Anthony Ameen speaks with Selena Larson concerning the origins of the Wings for Warriors organization. March 2011: Gateway Magazine The Ahwatukee man’s inspiring story of bravery and camaraderie begins with a serendipitous step into the Navy recruitment office as a Desert Vista High School graduate looking for direction. What he found was an extended family and a love of medicine. 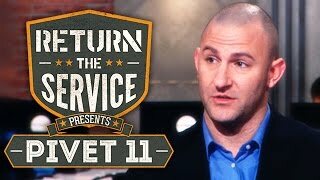 Return The Service to Our Veterans! U.S. Navy medic Anthony Ameen talks VA healthcare problems. May 2011: Last Call With Carson Daly Wings for Warriors founder Anthony Ameen speaks with Carson Daly about the organization, the obstacles returning wounded veterans face, and why Wings for Warriors is close to his heart.